Defiance 2050‘s next big update will hit servers on October 15, bringing with it the Hulker Hell event, a new class, weapon skins, and more. Halloween is just around the corner, so that means it’s time for a spooky-themed seasonal event like Hulker Hell. Of course, the arrival of a seasonal event also means goodies. Players will be able to pick up new weapons and mods from Hulker Hell Arkfalls and Sanguine Extraction Supply Crates. There will even be Halloween-themed Prototypes and weapon skins to acquire. Outside of the event, players have the new Crusader class to look forward to. This melee class wields a two-handed hammer and boasts the ability to summon a meteor, bringing it down on his foes. There’s even a new enemy to face. The Grid — as they are called — are a force of EGO constructs that can infect cybernetics and take control of the individual wearing them. Nope, that’s not creepy at all. In addition to all of this, Trion promises new daily and weekly rewards, and a variety of other things for players to enjoy. 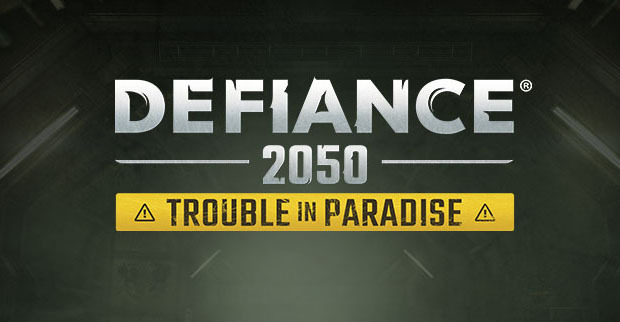 More information on all of this can be found on the Defiance 2050 site.